What is a dog for ? For Life nothing more, nothing less . .
A dog is for life, nothing less, please remember this when making the big decision to bring a furry friend into your heart and home. 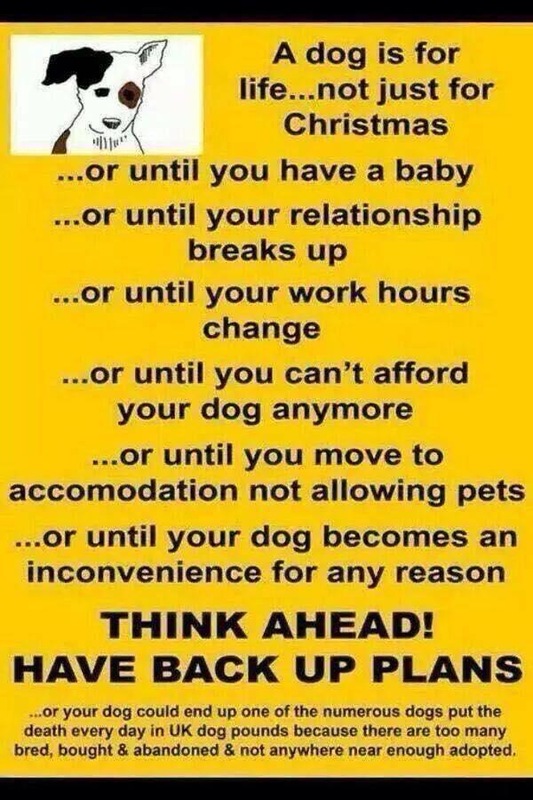 Remember its not just dogs that are for life, any pet your decide to buy/re-home/adopt is for life . .